Whether your passion for photography is a hobby or a source of income, you’ve probably spent a considerable amount of money on cameras, lenses and accessories, and quite likely a good to excellent printer on which to commit your creative visions to paper. The megapixel size of your camera’s sensor, the precisely crafted optics in your lenses and the print resolution your printer can deliver will be of little value if the photo paper you choose is not of equal or superior quality. The purpose of this PhotographyTalk article is to provide you with a mini-guide in the selection of the best inkjet media to which to trust your memories. Photo papers are manufactured with a number of surface finishes. The four primary categories are gloss, matte, canvas and art paper. Which is best for you depends upon the way you wish to display your printed photographs. RC Photo Papers (Glossy, Luster, Pearl) – These are the papers most familiar to people when it comes to printed photographs. These papers have a resin coating and slight plastic feel. The gloss and texture of these papers can vary quite a bit and you'll want to pick the right surface type for the look you want to achieve in your final print. Glossy/Premium Glossy – These papers have a very shiny and smooth texture and is a very popular choice for consumer labs processing photos into prints. Colors pop and the shine is great, but be warned: smooth gloss surfaces show fingerprints easily and aren't the best choice for photos being mounted behind glass. They are good for pass-around prints, signage and POP displays. Luster – This is the most popular paper surface for professional photographers. Luster has a bit of a stippled texture and is the top choice for portrait photographers. It shows realistic color very well and is a durable surface that does not fingerprint easily. This paper looks great behind glass and can be used for any printing need. Pearl – This is a brand new surface type that almost looks like pearls have been crushed to fine particles and the paper coated with them. It has a similar, but much more pronounced surface texture. It is an extremely durable paper that is great for portraits, fine art, landscapes and more. You’ll be holding you work on a pearl paper to the light to see the surface reflection because of the way the texture catches light. Art Papers (Smooth Art, Smooth Fine Art) – Art papers are generally the choice of fine arts and nature photographers, as these papers often have a smooth creamy finish that artists love. Textures can range from heavy, such as Watercolor and Velvet, to the smooth finishes of Smooth Art and Smooth Fine Art. Smooth Art – This is a bright white paper that is acid-free and lignin-free and buffered for added protection against atmospheric contaminants. This paper is great for fine portraits, artwork, landscapes, nature and any other subject matter you wish to print and frame. It's gorgeous behind glass and the prints made from it look great for generations. Smooth Fine Art – This is a 100% cotton paper that is ideal for fine art originals and reproductions. This paper is naturally acid-free and lignin-free and is buffered for added protection against atmospheric contaminants. This paper does NOT have Optical Brighteners Added (OBA). 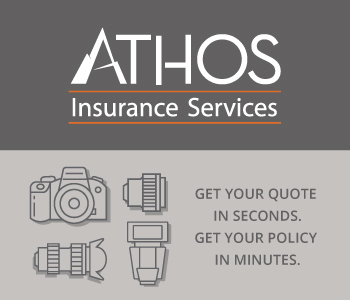 It’s fantastic for fine portraits, artwork, landscapes, nature photography and your finest images. This museum-quality paper has the highest D-Max of any 100% cotton paper currently on the market. Canvas (Matte, Satin) – This is a big trend today for showcasing photography with a canvas gallery wrap. Canvas prints have a border of typically two or three inches where the image actually wraps around the frame on which the canvas is stretched. The benefit of canvas wraps is that typically no other framing is used or required and the print is just hung on a wall. Not all canvas is done as a gallery wrap though; and if you plan on using a traditional frame, then all that's required is to have your canvas stretched. Today, there are even products you can use to stretch gallery-wrap canvas with no special equipment or tools. The texture of canvas makes photographs look fantastic and it’s easy to print to it, so give it a try. Matte Canvas – This is a very versatile canvas for most any need. This canvas is a cotton/polyester blend that receives color beautifully. One of the benefits of this product is that after printing you can use a water-based print protection coating that protects and/or protects and enhances surface characteristics. Coatings can be applied with brush, spray or roller, and will turn a matte canvas print to Glossy, Matte or Satin. Satin Canvas – This instant-dry canvas has a Satin finish coating already applied. Prints show a beautiful sheen and texture right from the printer. When purchasing this product from Finestra Art, it is available with a natural white finish without OBAs (Optical Brighteners Added) or with OBAs for a very white finish. These media also work exceptionally well with water-based coatings. Specialty Media (Metallic Pearl, Metallic Silver, Metallic Gold, Decor Art) – Specialty media may not be right for every job, but has unique characteristics that can make a statement or show an image at its best. Metallic Pearl – This is a general-purpose metallic paper that gives a metallic pop to any image printed on it. It handles skin tones well, and can be used for any type of image with great results if eye-popping color is what you want. It's an exceptional choice for promotional collage cards for a photography business. Metallic Silver – This surface type is unique to FinestraArt.com and takes the metallic look to a whole other level. This paper actually has a silver finish, complete with bi-colored metallic flecks in the paper itself. This paper is not suited for every image, but is stunning for night photography, black-and-white images, signage, concert photography and much more. Metallic Gold – This is another surface unique to FinestraArt.com. It adds a unique golden cast to images and is great for black and white, sunsets and signage. Decor Art – This is a newer media type that is very unique. It has a self-adhesive backing with minimal tackiness, so it sticks where you put it, but can easily be removed with no sticky residue. It's great to print decorations for a child's room, wall murals, make-your-own wallpaper, floor displays, vehicle signage and any applications where you need a self-adhesive, low-tackiness print. Get more Photo Printing tips with this free newsletter HERE. Making a photo print that will still look good after you’ve gone to photography heaven is probably not a top reason you want to print your photos. Some of your photos deserve to have a greater longevity, and not just for sentimental or family reasons. If you’re a professional, or aspire to sell your photos, then you want your customers to be happy with their prints well into the future. Every time they walk by your photo that still looks good, it will be like passing a billboard with your sales message on it. It’s a reminder that if they need any photography or would like to buy another print, then they will be calling you first, and maybe only. A printed photo has a longer life when you use the right combination of printer and paper. 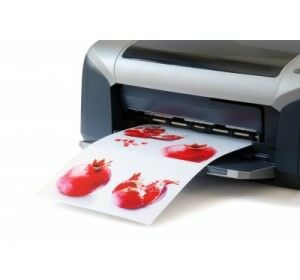 For example, a pigment-ink printer will produce a print that will lose no noticeable image quality for more than a hundred years. Even dye-printers do a very good job, with their prints strong and vibrant for as many as 20 years. Achieving such print longevity starts with buying the right printer, which requires careful research. Read its specifications prior to purchase to review expected print lifespan. Other important specs to check are paper-handling capability and print sizes supported. Paper handling refers to the paper paths supported, such as rear, front, straight and/or manual. This is important because some papers are thick or delicate, so having a straight through and/or manual paper feed is very important if you plan on using specialty media. Print sizes-supported refers to the sizes of paper that can be loaded. Today's modern inkjet printers can more often than not print borderless sizes such as 4x6, 5x7, 8x10, etc. If there is a size you like in particular, then make sure your printer has that capability before making a purchase. Currently, Epson offers the most flexibility with compatible borderless sizes. Paper manufacturers use optical brighteners on some media to produce papers that are very bright white. A whiter paper can be an excellent medium for certain types of photos. Initially, a print will maintain its very bright white look, but with the passage of time, the whiteness level can change, becoming a creamy yellow, for example. This in turn could affect the look of your photographic print in ways that you hadn’t consciously planned or wanted. This typically doesn’t start to occur with any paper treated with OBAs for at least several years; and with the latest generation of natural OBAs, the whiteness level stays pure indefinitely. For consistent prints that maintain their initial appearance, it’s best to select papers that haven’t been treated with whitening agents (OBAs) or that use natural non-yellowing OBAs, such as those used by Finestra Art. Today’s printers are sophisticated electronic devices, with interfaces that include a paper-choice menu. Not only do you want to understand this information, but also create or utilize the paper profiles that are available from the manufacturers of the paper products you use. A printer profile is just the translation of color from screen to print that incorporates characteristics of the paper into the translation to ensure your printed results match your screen (assuming you've calibrated your display) as closely as possible. Using profiles is quite easy and there are many videos on the Internet that show you how to set your printer driver for best results; plus, this information is covered in most printer manuals. This is particularly important if you rely on a color-managed workflow and calibration equipment to match, as closely as possible, onscreen color to what appears on your prints. Even with all the new knowledge you’ve acquired reading this PhotographyTalk article, selecting the right source to purchase the right photo paper may be the most critical factor. You want to order your paper from a company that shares your passion for photography and offers a wide selection of papers that supports your creative vision. Finestra Art is that company. The people at Finestra Art are totally immersed in the science and aesthetics of photo paper. They know the quality of paper you need to produce great-looking photo prints from your inkjet printer. They have the finishes and grades to make color pop, details sharp or subtle and contrast rich and balanced. The Finestra Art online store includes not only the finishes explained in this article, but also others to enhance your creativity. For example, Finestra Art’s Premium Pearl Photo Paper has a sheen unlike any other paper and makes photos pop while being fingerprint-resistant and copy-resistant. Finestra’s Metallic Silver or Gold Papers are like printing onto tin or gold leaf and are especially great for making black-and-white prints that are stunning and look like no other surface type. Finestra Art also makes the finest quality canvases, and offers them in multiple surfaces. All of them share a 2:1 double weave for strength, plus they are easy to stretch and won't crack when properly finished like some other canvas media. Finestra's canvases also have the highest D-Max of any canvas currently available. Finestra Art offers a full complement of media sizes, so you can print full-bleed in photo sizes, such as 4x6, 5x7, 8x10, 16x20, etc. Plus, Finestra has popular business sizes, such as 8.5x11, 13x19, 17x22, etc. as well as a complete inventory of roll sizes available to 60" wide. Your mind is sure to blossom with many new creative ideas when you explore the great variety of photo papers at www.finestraart.com.